Not much to say about the flight over, except for my introduction to the Finnish culture in Helsinki where I changed planes. I ordered my usual double-espresso, and in my jetlagged state forgot that, unless specified, most European countries are more environmentally-conscious than Canada, and they serve coffee in proper ceramic cups. At the last minute I specified “take-away”. The barista looked me straight in the eye and said, in an unsmiling-yet-not-unfriendly way… “now, why didn’t you tell me that beforehand?” Tisk-tisk. Welcome to Finland! A nice touch: both the airports in Helsinki and Stockholm have wooden floors! A nice touch… quiet, organic, and it adds a lovely natural-wood aroma to the typically-sterile airport environment. We spent our first day in Stockholm getting our bearings and settling in. The next day, we gave a workshop to the Swedish vocal ensemble Voces Nordicae, directed by Lone Larsen. They’re a fantastic group, with a great combination of strong Swedish choral training and natural, intuitive musicianship, and we had an enjoyable workshop: so much so that we decided with Lone that it would be nice to have the Duo make a cameo appearance at their upcoming concert. Sadly, this didn’t happen… read on, and you’ll find out why. We spent a little time wandering about the city. Stockholm’s geography looks a little like Muskoka… as designed by Ikea. Similar bare-granite topography, beautiful canals and waterfronts…plus all the old-world charm that I love about Europe. We came to Stockholm for the Real A Cappella Festival, hosted by the world-renowned a cappella group The Real Group. Our international last a cappella festival was the London A Cappella Festival and, being a similar event not too far away, we knew we would see some of the same artists and participants, and sure enough, we did. 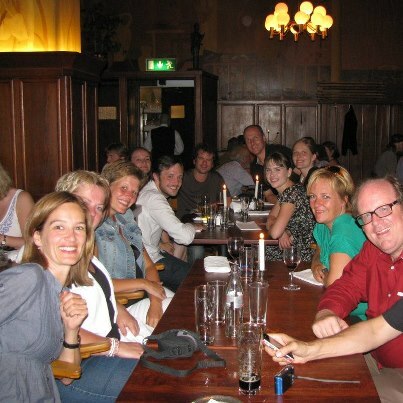 The first social event was like walking into “Cheers”… everybody knew our name. A great way to start. The next day was our main performance event, a short set in the opening night concert. Our soundcheck brought us a moment that I can only call “surreal”. Suba and I had our soundcheck right after the Real Group, the hosts of the festival. Now, Suba and I have been fans of the Real Group for a least 15 years, from the time we were cutting our teeth in the vocal scene. We performed some of their songs in our professional groups, taught them to choirs we’ve directed, and workshopped them with countless other choirs over the years. In short, we’re fans, and really look up to them. So when they came up to us before our workshop to say “Welcome! We’re so glad to have you here… we’re fans of your music”, we were a little stunned. That’s what we wanted to say to them! We quickly learned, and saw again and again through the festival, that they’re not only world-class musicians, but also warm, down-to-earth, humble people who just love vocal music. The concert that night was fantastic. It started with the original “classic” real group lineup… followed by us. We had a great audience, our performance went well, and it seems that we made a splash. 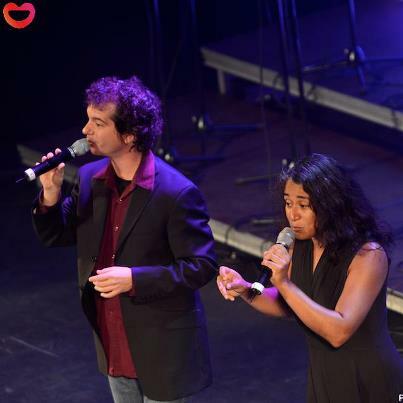 2-person a cappella is very rare: only a couple of groups around the world do it, as far as I know. It sure helps us stand out! Other groups included Vocado from Sweden; Postyr Project from Denmark, who dazzled with an impressive display of vocal and electronic wizardry; Novo Voco from Taiwan , who surprised and amazed everyone as a cappella is a newly-developing artform there; Perpetuum Jazzile from Slovenia; the current Real Group lineup, and others. Put it this way. I’m a terrible concert-goer: I get bored very easily. Yet this show, clocking in at 3.5 hours, all a cappella, kept me interested the entire time. Great programming and great performances from everyone. The after-hang was good, except for a little tickle in my throat. Uh-oh. By morning, that little tickle was a raging sore throat, and no voice. And, I had a 90-minute workshop to deliver that morning! A careful vocal warmup ensured that I had just enough to get started. But, I ran out of gas fast. By the time I was halfway through the workshop I was coming up with creative ways to re-sing lines I couldn’t sing normally, and by the time I was done, I could barely croak out the words “thank you”. Fortunately, the workshop was on a cappella looping techniques, rather than vocal techniques, and I was still able to demonstrate everything well despite the failing voice. I more-or-less scurried home, mutely, and slept all afternoon. I went back to the venue in the evening to catch a set by most-excellent Finnish group Rajaton, but left before the Swingle Singers set (sorry folks… see you in Canada in October, I hope!). The next day, I met up with my longtime friend and former Cadence bandmember Kevin Fox. A short-but-sweet reunion. I had hoped to see more workshops, but this damned infection was sapping my strength as well as my vocal chords. More sleep, and a little deskwork. 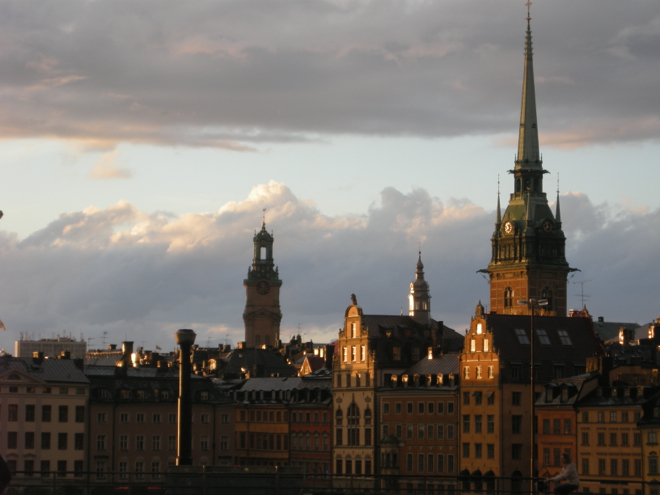 Fortunately, I’ve been to Stockholm a couple of times, so I didn’t begrudge having to stay home, and was able to put the finishing touches on some parts of my upcoming a cappella arranging book. The final night’s concert was fantastic: the Real Goup, Rajaton, Postyr Project, beatboxer-extrordinaire Roxorloops, and some other “friends”. In short, the crème de la crème of the Nordic a cappella world. The after-party was equally epic. Thank goodness for Stockholm’s 24-hour weekend subway (Toronto, take note. It’s awesome). The following day I was invited to take part in a seminar on a cappella recording. But, after doing the time-math (early workshop, minus late-night party, divided by laryngitis, equals unhappy Dylan) I decided against it. Bill and Erik, I’ll catch you next time!